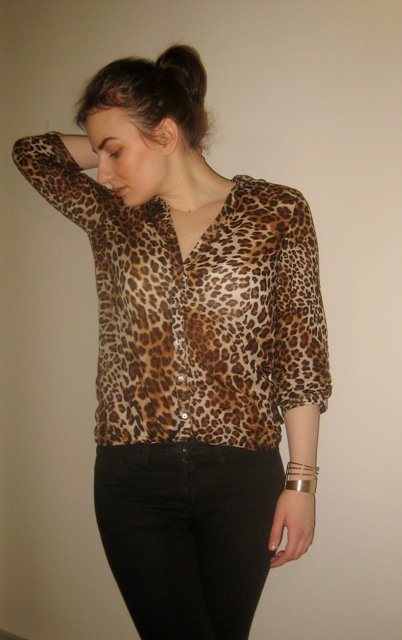 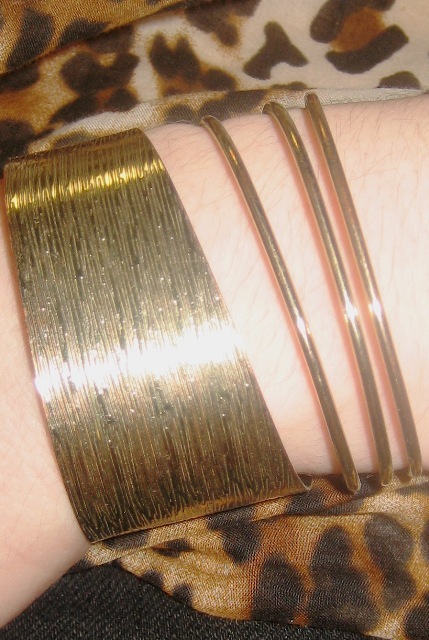 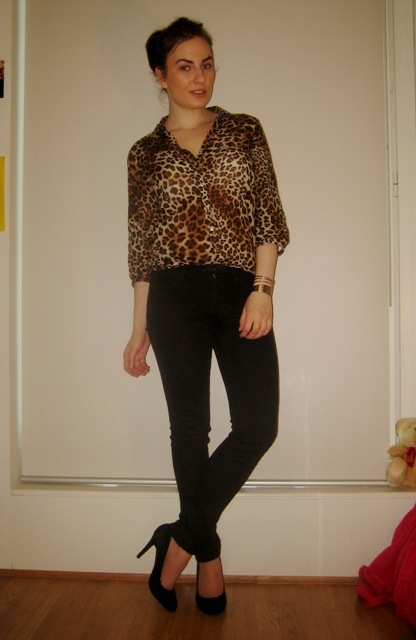 Having a casual yet pretty cool look today by using animal print. 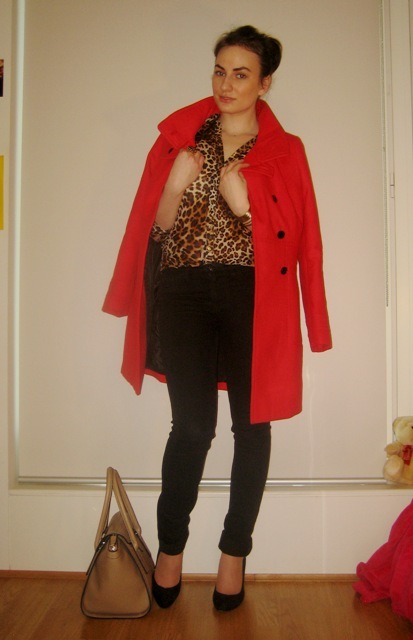 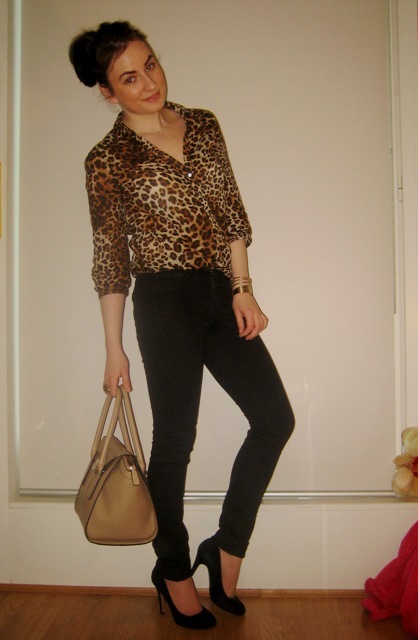 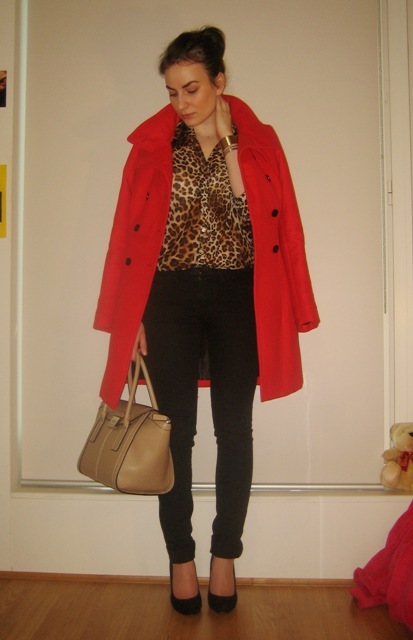 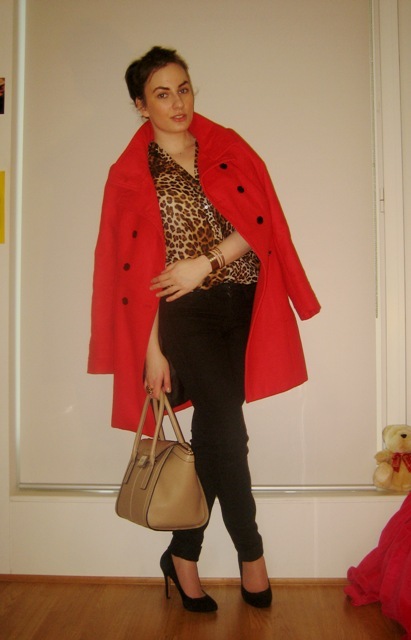 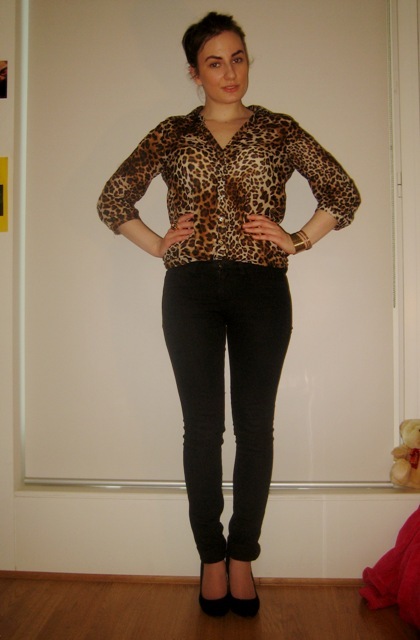 I'm wearing a blouse in leopard print, super skinny jeans, classic black heels and a red coat, to add some brightness. 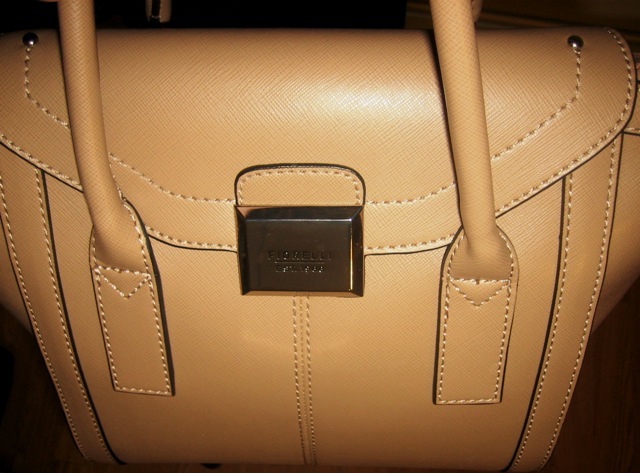 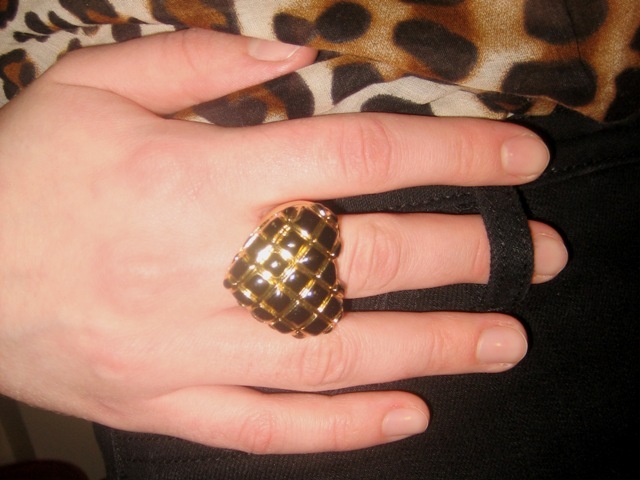 From accessories I have a ring in heart shape and a bracelet, as well as a light colored handbag. 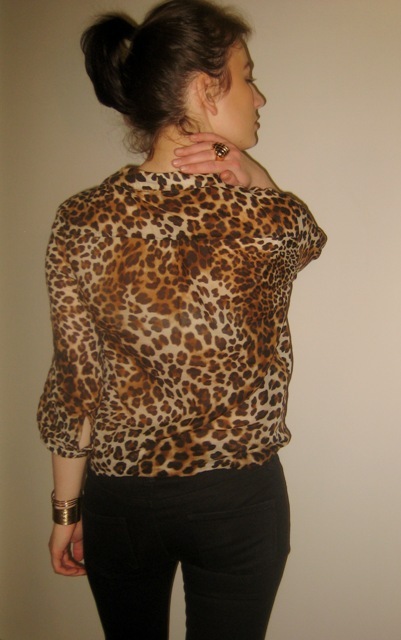 The look is added by a high ponytail and natural make-up.